Coleman looking to extend Wales contract. Former Coventry City manager Chris Coleman is hoping to extend his contract as manager of Wales after guiding them to their first tournament since the 1958 World Cup. Ahead of their final qualifier at home to Andorra this evening, Wales currently sit second in Group B, and can still finish top ahead of Belgium if they fail to defeat Israel and Wales end their campaign with a high-scoring victory. 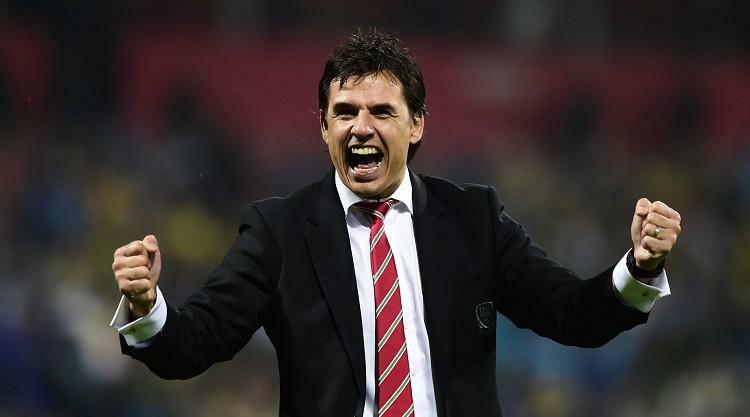 Since taking over from the late Gary Speed, Coleman has lead Wales to their highest ever Fifa World Ranking of 8th, two places ahead of England. Speaking to BBC Wales, Coleman underlined his intentions to carry on with the job he’s started and bring in a new structure. “Hopefully we can agree on that. “And it won’t be about my contract, it will be about the structure and how we can take that forward. “We’ve got to keep pushing these lads and that’s the only way. It’s not about resting now we’ve got to France. Coleman has also confirmed that even though they’ve already secured qualification to France next summer, he won’t be experimenting with his team or formation this evening and Real Madrid forward Gareth Bale will feature. “I had a formation and a team in my head even before Bosnia, so the team you see against Andorra won’t be a product of success, because we’ve done it [qualified]. “If one or two were starting against Bosnia and they’re not on Tuesday, it’s got nothing to do with performance. “Physically there was a lot of output in the Bosnia game from certain players, so that will affect what we do. « Pressley appointed new Fleetwood manager.